Hoverboards are very popular today and it has become a trend for kids,teenagers and aults to take a short trip with the awesome self balance hoverboard.If you want to buy the hands free hoverboard for children, friends or yourself,you can get many informations from internet concerning the 2 wheel self balancing scooter. Also if you don’t know which is the most cost effective or the best self balancing scooter suitable for you, you can read a lot of reviews to see advantages and disadvantages of using different hoverboard . Most Smart balance wheels offer a similar experience with different size and magnificence. But before a journey, rider is required with lots of exercise and familiar with the hoverboard speeding up, move backwards,turning around, then he can go on the highway, to avoid any accidents. 1.Ideal for doing exercise and short trip- people living in urban area may not very easy to find a place for doing exercise in the morning , a hoverboard can helps you moving to parks nearby for sports or leisure. Besides, riding a hoverboard can also help to reduce weight and enhance balance ability. 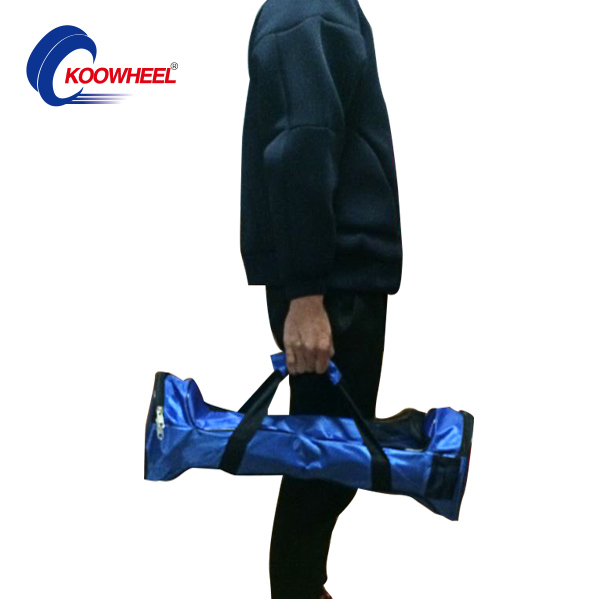 2.Easy for carry- it is very convenient for carry because of its cute size and light weight,with an optional carry bag, you can easily carry it onto the bus, metro,railway, up and down elevators. Easy for storage- it is easy to put away your hoverboard in the shelf or perhaps in cargo area too, without paying too much attention to temperature,humidity around.